‘Dayata Kirula’ the National Development Exhibition of Sri Lanka, organized for the fourth time to harmonize with 62nd Independence Day, is scheduled to be held at Sri Lanka Budhist Academy in Pallekele, Kandy on 4th Feb. and will continue till February 10th. 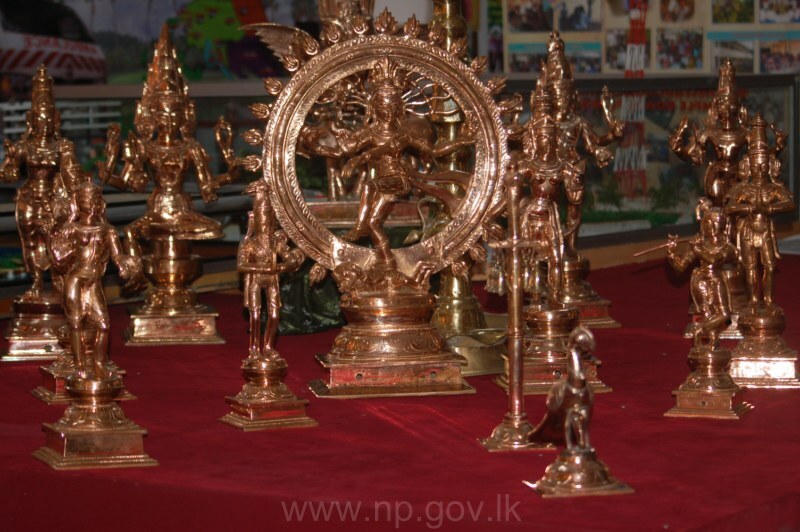 According to the Ministry of Finance the theme for this years' exhibition is ‘Palada Eka Kirulak Nawum Heta Dawasak’. State, private, and international sectors will be operating over 1,000 stalls at the exhibition. On the opening day the exhibition will be open to the public from 6:00 p.m. to 12:00 midnight and on the other six days it will be open from 9:00 a.m. till midnight. The inauguration ceremony was held on the 4th of February. His Excellency the President of the Democratic Socialist Republic of Sri Lanka, Mahinda Rajapakse, Hon. Ranjith Siyambalapitiya Deputy Minister of Finance and Policy Planning along with many other Hon. Ministers, Government officials and distinguished guests graced the occasion. The Ministry of Youth Empowerment & Socio Economic Development in collaboration with the Plantation Human Development Trust, Kandy, had a stall at this exhibition displaying items such as Estate housing models, photographs of construction activities, Pre- school items and other exhibits . PHDT Kandy received the fullest co - operation from Main Office and other regions for this exhibition. The Chief Guest of the stall on the first day was Mr.A.H.Gamage-Secretary - Ministry of YE&SED. The theme of the Plantation Human Development Trust was Develop a Happy Family. Towards this we had posters placed and they were duly explained by the PHDT staff. On the second day Mr.Ranjith Ellegala the Director General of PHDT was the Chief Guest. He declared opened the section meant to examine the Body Mass Index (BMI) at the stall which was appreciated by all concerned. The participants expressed that this was useful to improve the routine consumption of food with more attention to nutrition. At the same time Health Managers and Project Officers explained the BMI reports to the people individually. There were 4227 participants to check the BMI level. This event also gave the opportunity to introduce the PHDT and its activities with leaflets distributed among the many visitors to the stall. We noticed that most of the people had questions with regard to the Wooden Play Materials displayed at the stall and they appreciated the services provided by PHDT to pre- school attending estate children. Some viewers were interested to obtain information with regard to the Diploma Course designed for untrained Child Development Officers by PHDT. The Health Manager PHDT Kandy explained in detail to the people who were interested on the Diploma Course. Our participation at the Deyata Kirula Exhibition Kandy was very successful due to the close co-ordination of Main Office and all the staff of PHDT working together. We appreciate the ready assistance provided by Hon.Arumugan Thondaman the then Minister of Youth Empowerment & Socio Economic Development and the officials of his Ministry without whose support this event would not have been a success.